Dubai: Filipino expatriates welcomed their government’s experimental move to exempt a group of Filipino workers from getting travel exit clearances every time they go home for a holiday beginning September 15. Filipino workers who go back to their country need to secure an Overseas Employment Certificate (OEC) to prove that they have been hired legally and intend to go back to the same employer abroad. This Philippine government requirement is presented to immigration officers before leaving the Philippines and also to get travel tax and terminal fee exemptions. Philippine Overseas Employment Administration (POEA) chief Hans Cacdac on Monday released a copy of a resolution dated August 4 containing the exemptions on the orders of President Rodrigo Duterte to streamline the processes in deploying overseas workers. According to the resolution, Filipino workers returning to the same employer and job site abroad and with existing records in the POEA database and those hired through the Government Placement Branch are exempted from getting the exit clearance. Majella Gatdula welcomed the move saying it will ease the burden of Filipinos who used to take a day off work or queue up before dawn just to get the document. An online appointment portal was launched last year to eliminate the long queues, but getting the document could still be cumbersome, Gatdula said. “I’m happy that they are doing this so it won’t be too much of a hassle for us to go on vacation. Imagine taking a day off just to get a Dh10 clearance and the inconvenience we go through,” Gatdula, 44, a customer service officer, told Gulf News. Cacdac said the move, while on a trial basis, will benefit thousands of overseas Filipino workers (OFWs). Some 64 per cent of the OFWs deployed are considered Balik Manggagawa or Returning Workers who need exit clearances. 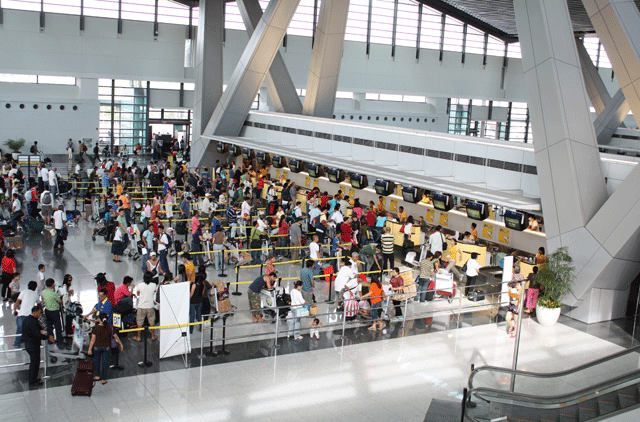 “This move is expected to benefit an estimated 600,000 OFWs every year. It will make the process easier for them. To know if they are exempted, they only have to log on to BM Online if they have already registered under our system. They need to update their profile and validate it. Even household service workers are exempted,” Cacdac told Gulf News in a phone interview from Manila. For OFWs to get travel tax and terminal fee exemptions, they can show their valid work visa, work permit, valid employment contract, valid company ID, recent payslip, or other equivalent document. Nhel Morona, a migrant rights advocate from the group Migrante, lauded the initiative. His group has been campaigning for years for the exit clearance to be abolished as they believe that it is a form of state exaction.